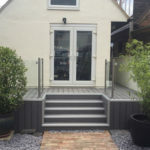 Our customer in Newport Pagnell, near Milton Keynes, initially commissioned DGB to install new uPVC vertical sliding windows, a timber composite door and aluminium bifolding doors to their 1800’s property in Newport Pagnell. 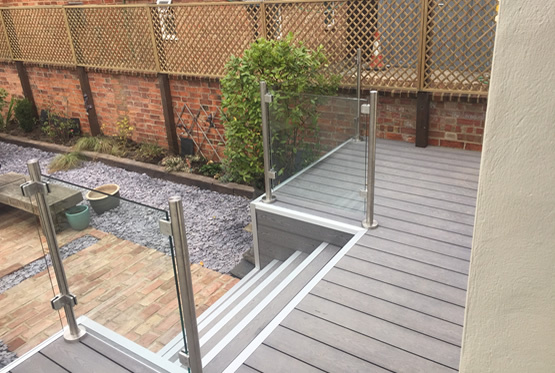 The idea for the windows and front door was to keep with the traditional look of the property from the frontage, but give it that modern feel with the bifolding doors to the rear. 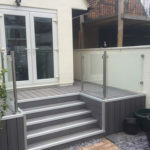 During these works, the customer also enquired regarding our building and property development services with regards to the garden and garage area. 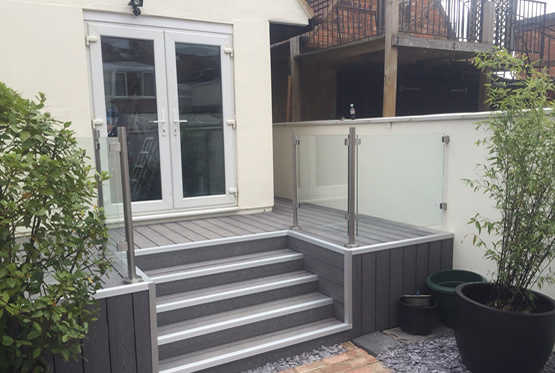 We agreed to install our composite decking to large areas of the garden, complete with stainless steel and glass balustrades to the raised area to create a small seating area for when the sun had moved round in the afternoon. 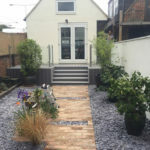 During planning of this area, they were let down by their builders, and commissioned DGB to knock down and rebuild one boundary wall, and repair the other one. 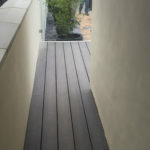 The finished product creates a stunning home, and garden area which the customers are extremely satisfied with! 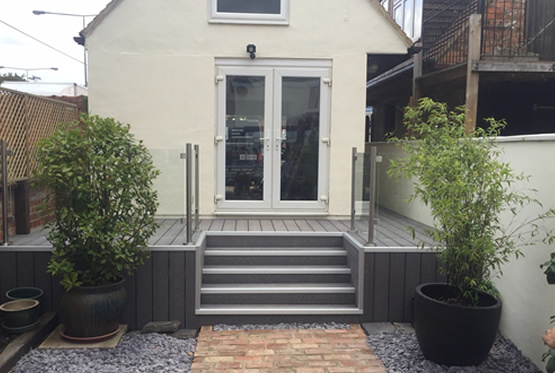 We engaged DGB to assist with the updating of a Victorian Cottage we had recently bought in a conservation area. 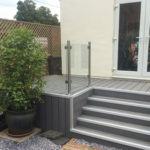 Martin (the least pushy salesman in the world) was extremely knowledgeable about their products and gave very good advice on windows and guttering that met our needs. 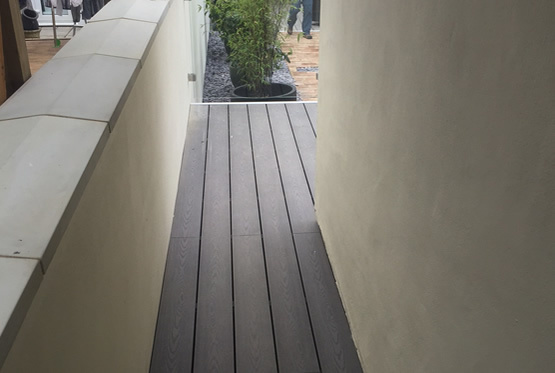 The installation was expertly and tidily done by Andy and John who had their work cut out dealing with walls which leaned in various directions. Our neighbours have all commented on the quality of the window units and the metal Victorian guttering, which compliments the style of the house. 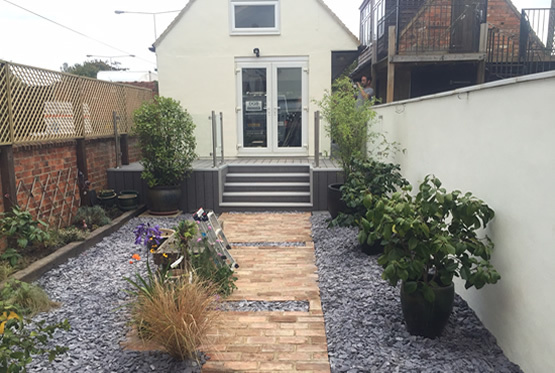 We were delighted with the finish and the process of the first stage so we engaged DGB for more work which included removal and rebuild of a garden wall and garage frontage, alterations carried out with the help of Gary, a real craftsman of his trade. 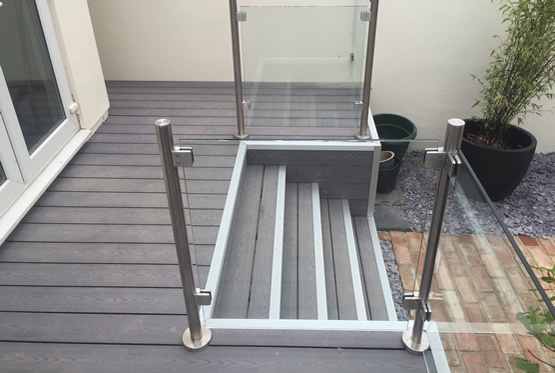 Finally we requested composite decking complete with glass balustrades to add the finishing touches. 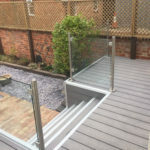 We had many onsite discussions during the various builds and Andy, John and Gary were very accommodating to our requests as the jobs progressed. 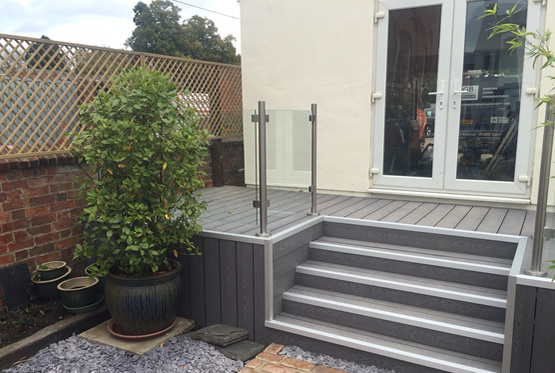 All of the works were completed to a very high standard and we are very very pleased with the results. 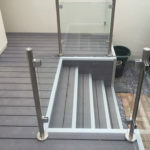 We have no hesitation in recommending DGB for any glazing or building needs.